The gentle elegance that Nourison is known for its perfectly captured in the Luminance rug collection by the well-known brand. Each Luminance rug is power-loomed using the latest machine weaving technology and each rug features a lustrous and sophisticated finish. All rugs are made from a 70% viscose silk and 30% wool pile, which ensures that shimmering finish. The construction is also designed to last and be very hard-wearing, even in high traffic areas of the modern home. 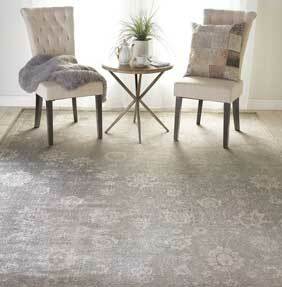 The Luminance rug collection is available in a choice of standard sizes and elegant, neutral colour palettes.